I'm on my 3rd cup of coffee and my head is in the sky today. A little too much daydreaming happening. So many things that I am excited about and looking forward to coming up soon, and the countdown to our Nashville trip is on (t-minus 24 days...). To "Honey I'm Good" by Andy Grammar. Why the heck is this song so catchy? I sing it in the shower, at my desk, and on volume 700 during my evening commute. I could go for a beachy vacation right about now. Long work days and high stress could be eased with a fruity umbrella drink and a gorgeous ocean view, I'm sure! Who's with me? Anything outside. I am ready to garden, turn our patio into an outdoor oasis, grill out, go to the dog park... you name it. Ready for hipster tunes + patio + craft beer + fire pit. For some really comfy casual shoes that are cute. I ordered these light gray converse sneaks, but sadly my feet are too wide (darn dancing for 15 years!) to fit comfortably. The BEST guacamole ever - best Costco find! The Office from the beginning. We forgot how funny it is. My favorite episode is coming up... Jim and Pam's wedding where I will probably cry when Jim cuts his tie off. So sweet and I'm a sap! Some cute personalized etched dishes for my friend's wedding shower gift. So excited to get crafty and dig into a new project! I was gallivanting through Europe with my adventurous sister. She is studying abroad in the Czech Republic, but has been exploring in the Italian Riviera, Rome, London, Paris, Budapest, Barcelona, and Germany to name a few. Take me there! WAY too many things to do on our trip. I finally had to calm down and realize that I can have some must-do options, but in the end I really just want us to do whatever we actually feel like doing every day. Those are the best vacations. 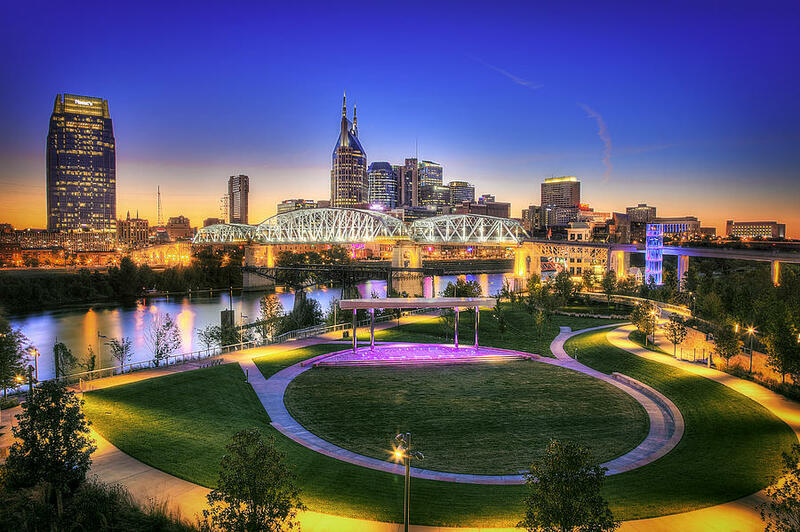 But if you have any good Nashville recommendations of what to do/see/shop/eat, please keep them coming! Some inspiration for turning our porch into an oasis of laid back atmosphere. Can't wait to share my inspiration (and the finished product!) soon! My new hibiscus tree that I have been obsessed with finding over the last few years. Well I finally found Lil 'Bis (Adam named her) Sunday and we drove all the way home with a giant tree stuffed in our car - my husband is a saint. Lil 'Bis has been making me happy and feel tropical ever since then. It's that time of year where I kind of lose my mind a little bit. Yes, spring time is here and I've had cabin fever for about 3 months too long. I am not sure exactly what happens, but something inside me snaps one day and all of a sudden I want all the windows open, gravitate towards bright cheery colors, and want to blanket my house beautifully fragrant fresh flowers. 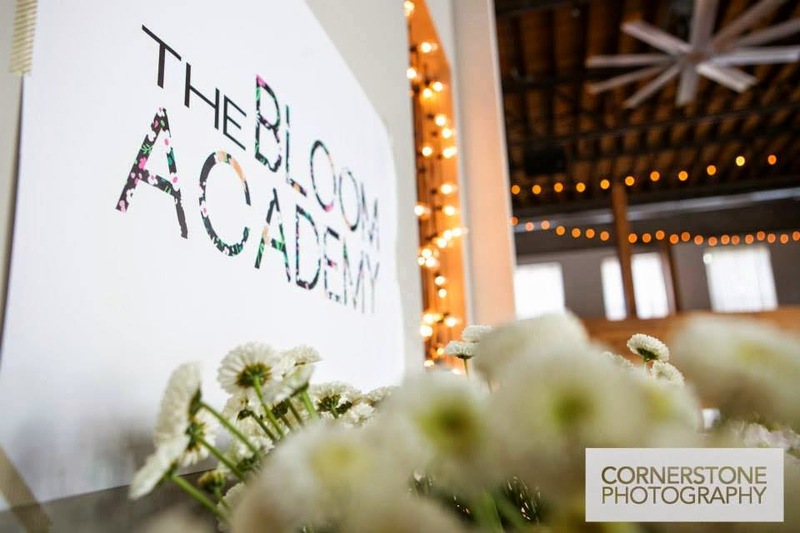 I'm antsy to soak in the fresh new season, so you can imagine my excitement when my blog friend and floral guru, Emily Walters, invited me to a class of The Bloom Academy. She's a modern day Martha Stewart, y'all! Of course I was thrilled with the possibility of learning how to turn my grocery store blooms into gorgeous centerpieces at home on a budget. Goodbye days of $50 arrangements, hello newly found green thumb! So I showed up to class with my friend Jess from 26 & Not Counting ready to soak in all of the great DIY tips and tricks. 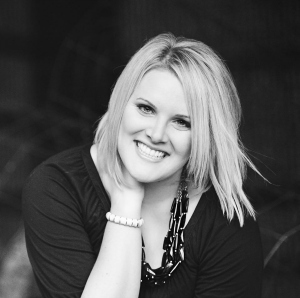 Emily is not only a fantastic teacher, but an incredible entertainer. 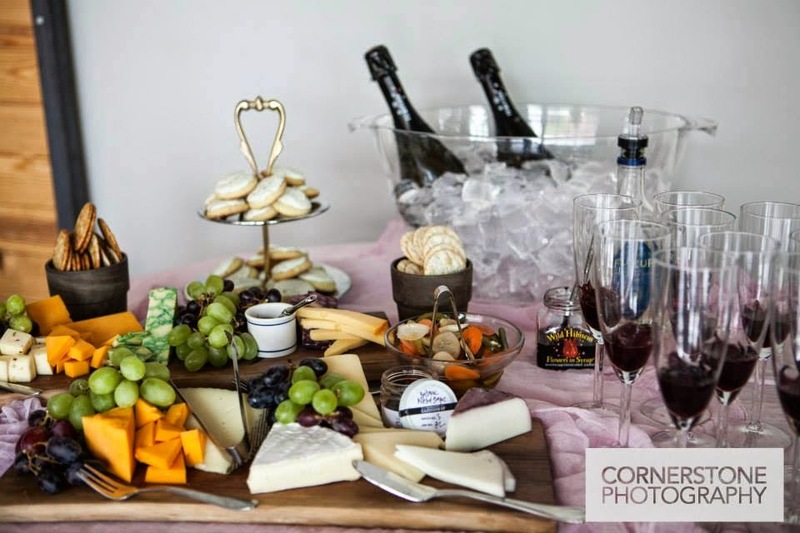 When we arrived at the River Market Event Space, there were wild hibiscus and elderflower mimosas waiting for us, and a decadent gourmet cheese and treat spread by Moxie Catering waiting to be devoured. I mean who doesn't love a little boozy/snacky floral time? After we chatted and chowed down, it was time to roll up our sleeves and get to work. 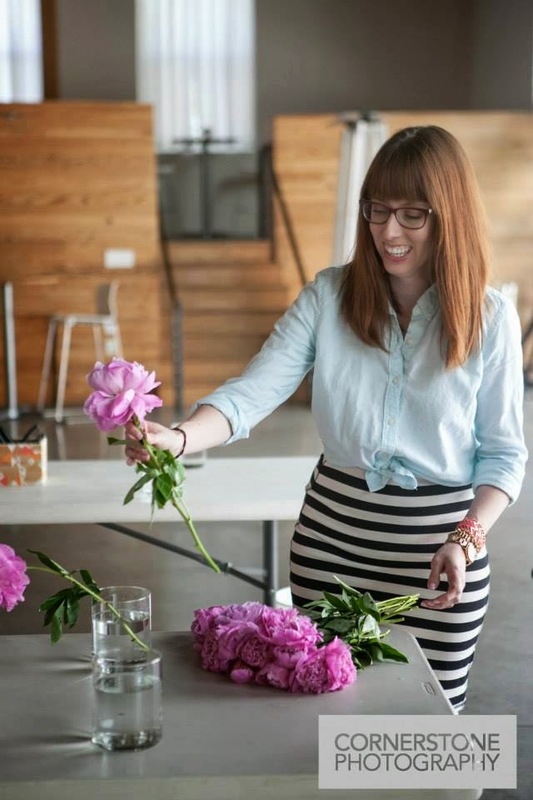 I love how approachable, effortless, and non-intimidating Emily makes floral arranging. She had her little display table up front, while each of us were at our work stations, so she could walk us through the process step-by-step. 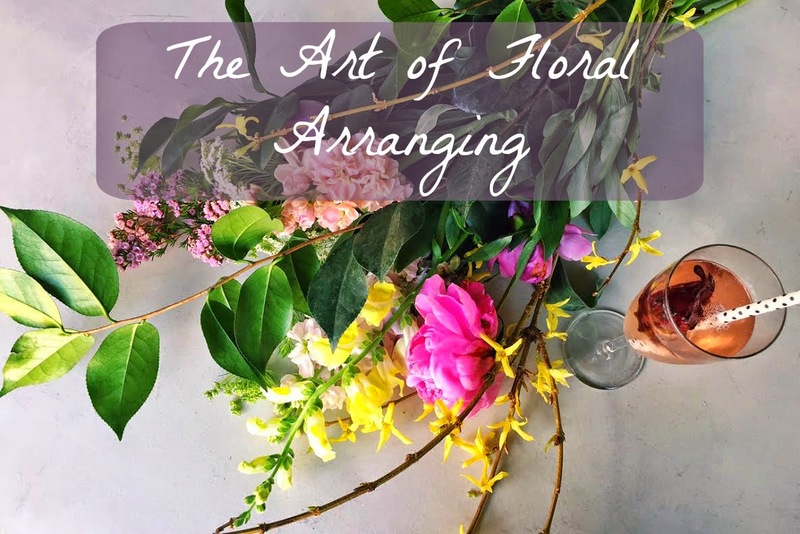 We asked questions along the way, and she even taught us great tricks on how to keep arrangements vibrant and fresher longer. Once she did her teaching portion, we were encouraged to pick out our own blooms (and she had so many gorgeous colors and varieties to choose from!) and get to work. She walked around to answer questions or coach us when we we needed a little guru guidance. It was so fun to see all of the creative ways that my classmates arranged their flowers. I have to tell you that I was so impressed by how gorgeous and professional each arrangement turned out, so that must mean one thing... Emily is the BEST teacher! 1 year full access to the blog with exclusive content for members only. 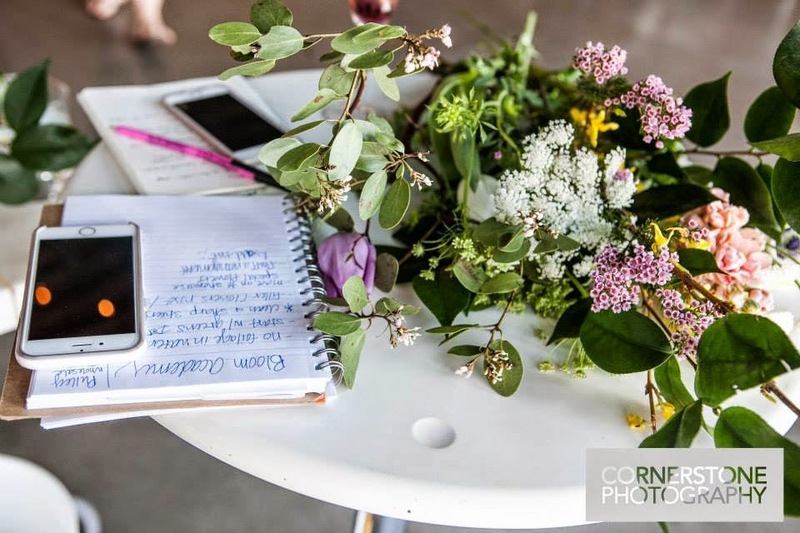 Content includes step by step floral tutorials, inspiration and tips for floral styling, floral "recipes", resources for buying supplies, and more. Discounts on additional e-courses, and in person workshops (in person workshops for Kansas City residents only). 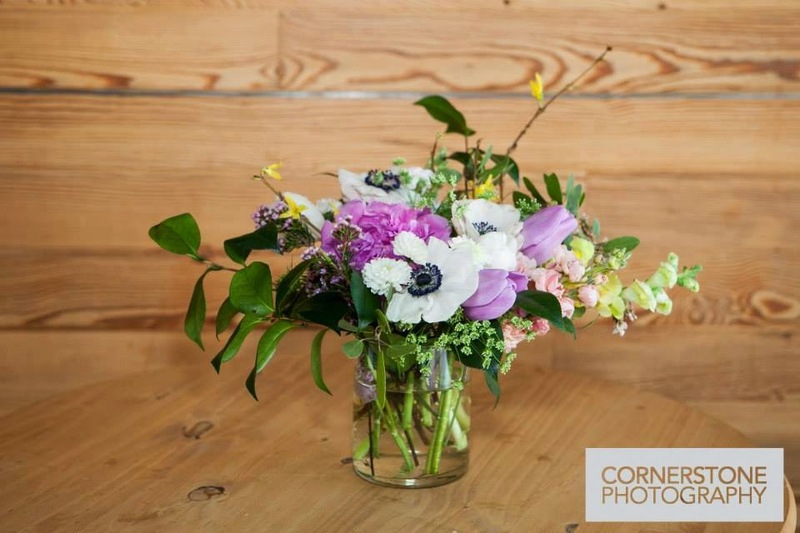 One-on-one teaching, so you can learn and troubleshoot your own floral problems. If you happen to be a local to the Kansas City area, I definitely recommend that you grab your girlfriends and sign up for this class! I promise you will be cranking out beautiful floral arrangements to decorate your home or gift to friends/family in no time. 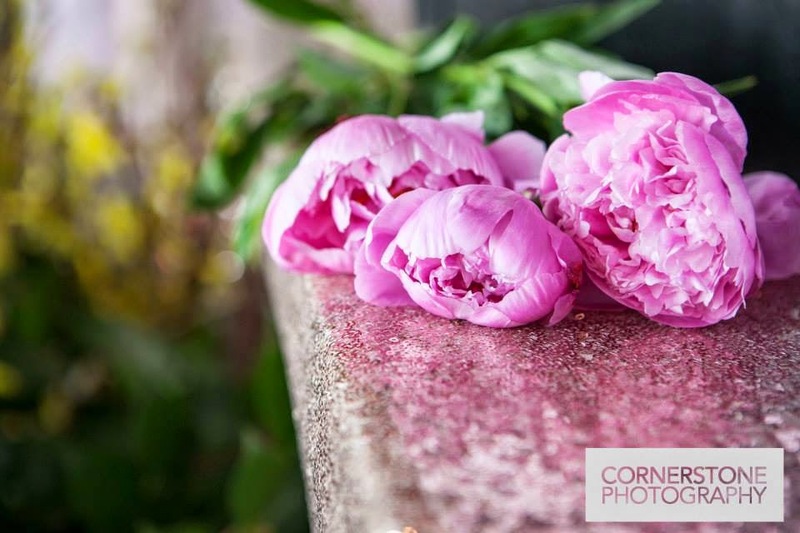 I've already been experimenting with my garden blooms using the great tips and tricks I used. 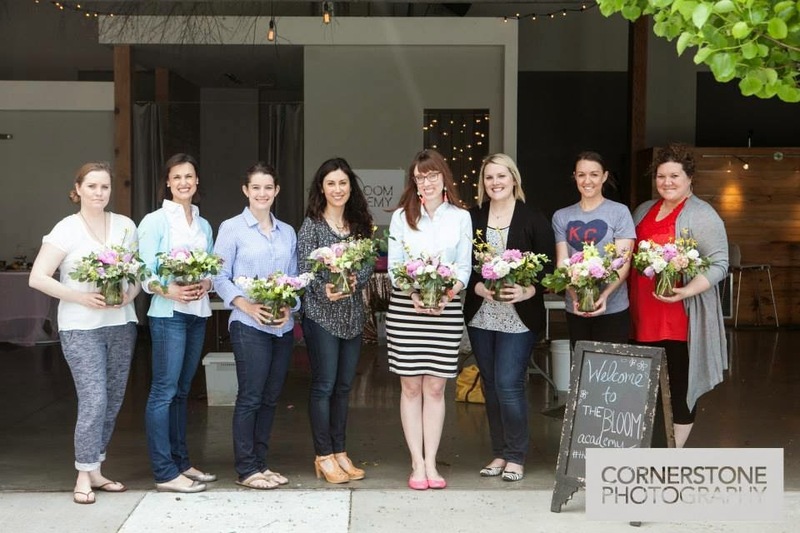 And Emily just announced that she is even expanding her services to teach private Bloom Bash parties! I love that she offers different packages that include flowers 101 to making gorgeous floral crowns - so fun! What a fun idea to combine a little bubbly + blooms for a baby shower, bachelorette party, wedding shower, or just a fun girls day! Please raise your hand if you could have used about 3 more days attached to your weekend. Oh good, I'm not alone. 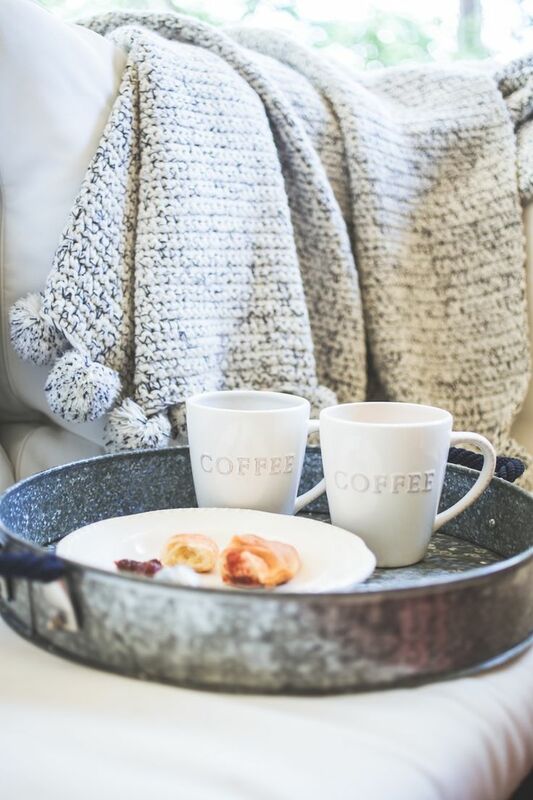 Where did the weekend disappear to? Thank you for stopping by today. That alone helps ease my Monday blues. Looking forward to catching up with you, friends! 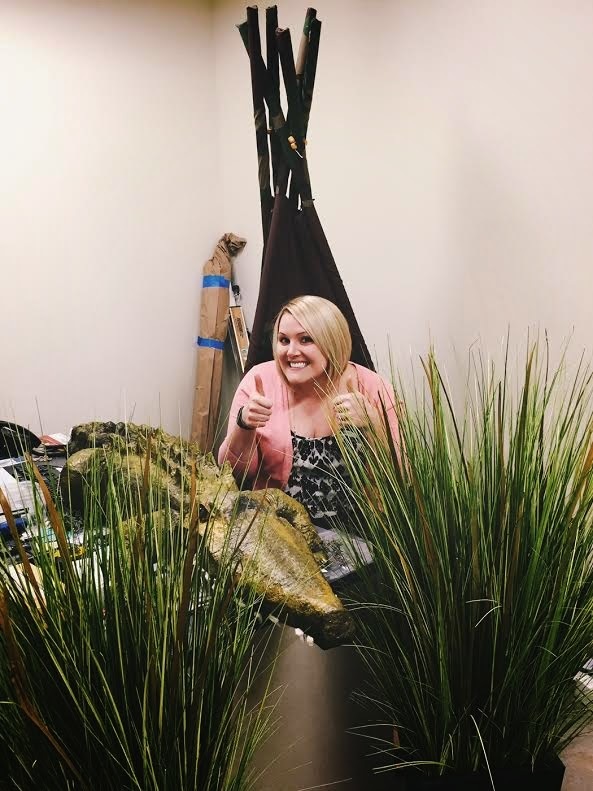 Today I pranked my coworker by turning his office into a swamp complete with a camouflage TP covering his chair, a 6 foot long paper mache alligator, and swamp plants. In other news, that's my new hair-do! Bye bye 7 inches - thanks for the inspiration yesterday, friends! Did you get pranked today or did you do the pranking?